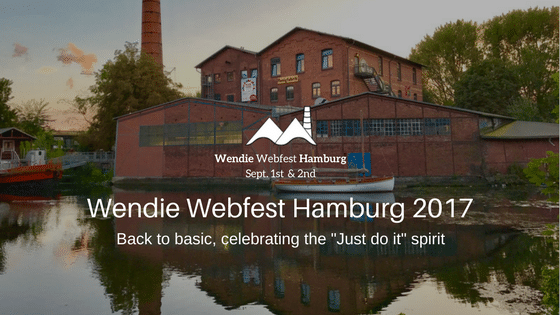 At the beginning of September, took place the 2nd edition of the Wendie Webfest Hamburg, that got me some marvelous fresh indie air with its amazingly wild behavior and its charming natural inclination to promote the “just do it” spirit. One of the main purpose of a web fest is to promote and help the authors, spreading the web series all over the world. A web fest is a powerful tool, that can connect people who otherwise wouldn’t met, that allows creators to learn from each other, that brings opportunities and that pushes the good ideas. A web fest is an “on” and “off line” strong social network, where throw business cards, panels, conferences, meetings, brunches and toasts, we can analyze what’s going on in the community and co-operate for its growth. A web fest it’s not just an event, it’s not only a celebration of the art of making web series; it’s the ground where we can make changes for the benefit of this amazing community. 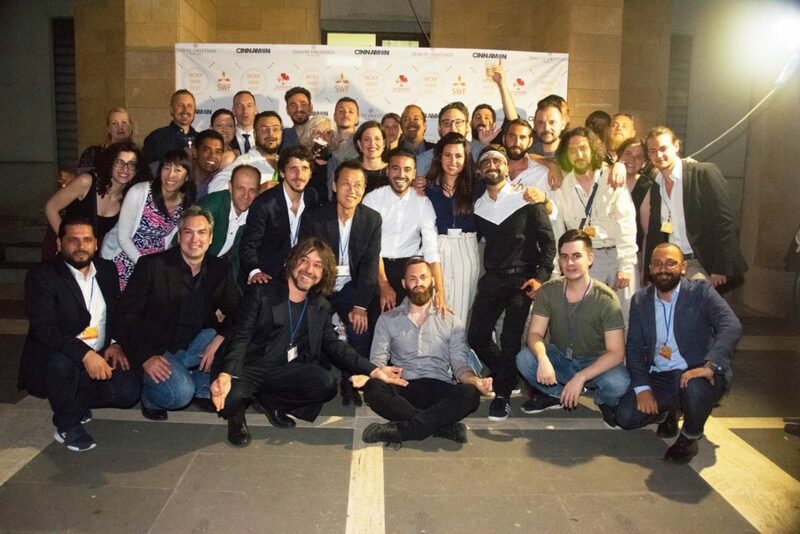 That’s what I thought on September 1st and 2nd, when I experienced my first foreign web fest. Yes, it’s true. 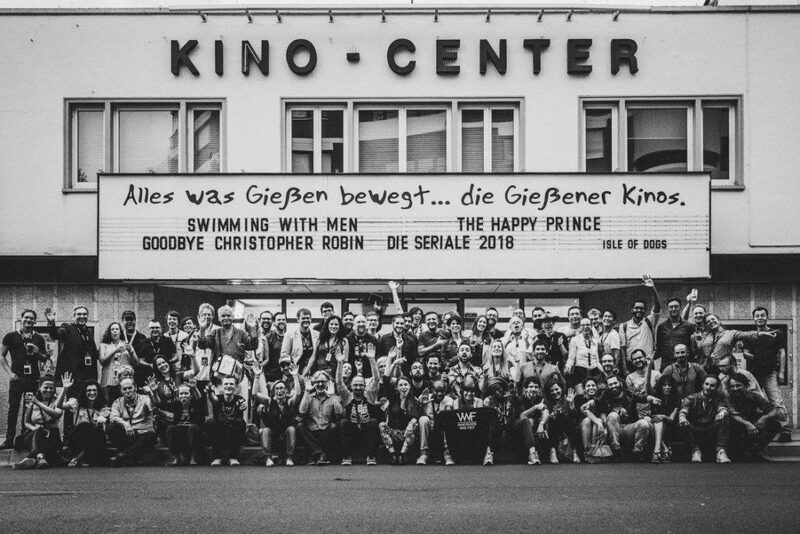 In these almost 5 years I always had to work and could attend only the Italian festivals, but this time I was free and I had one of the most amazing time being at the Wendie Webfest Hamburg. And I am really glad that my first foreign web fest experience was at this specific festival. Why? Well, keep reading to find out. I’m part of the this community since the beginning of 2013, and I started studying web series in 2012. When people ask me why I daily spend so much “not paid” time and work in this field, one of the main answers is always the same: I fall in love with the spirit of this community more than 4 years ago and, that spirit, is the same one that is still thrilling me today. Which spirit? The “just do it” spirit. This indie and so creative web series community has the feature of coming up with a lot of original contents and experimenting with them so many different genres, topics and stories in so many different ways, even when there are few funds. That’s what I mean with the “just do it spirit”; here there’s the habit of throw together with what one has, trying to do all the best. At this second edition of the Wendie Webfest Hamburg, I had a deep breath of this spirit that, sometimes, is forgotten. In these years I saw the web series community grow in numbers and quality and I am so proud of the results it reached. Today we have a lot of high quality web series, we have amazing authors who, thanks to some really good web series projects, reached the success and found smart producers for their digital contents. But it happens (too often) that talented authors with good ideas, aren’t considered because of the lack of budget, that makes “impossibile” to create the web series or, more commonly, that force to keep low their standards, making really difficult also the promotion of the series. Because of these issues, web series are often penalized and creators, congrats for efforts aside, are not pushed to continue without finding a bigger budget. This means, in my opinion, killing the indie spirit of the web series community, and in general, the spirit of the independent cinema. Let me be more clear: I’m not saying that web series have to keep “living” without money and budget. Not at all! I’m saying that there are a lot of online series that are really good shows, but they don’t have enough budget to be over the top and to pay for their own promotion. So, they remain stack inside that melting pot that is the world wide web. A web fest has the duty to help these projects. And this is what web fests like the Hamburg’s one, are doing. moderating the focus on the Italian web series scene. All these aspects were in fact some of the main topics at the Wendie and I had chance to discuss theme with a lot of different people and it was common opinion that…Well, it’s not fair! For some reasons, low budget means necessarily low quality and, low quality, means bad contents. This is the worst approach ever. 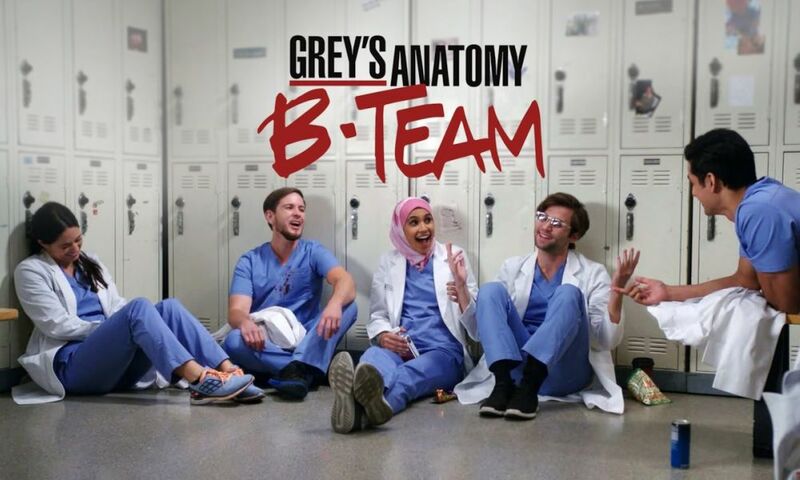 A low budget production can be very good and can deserve to be pushed in order to receive help for improving and making, for example, a better second season. 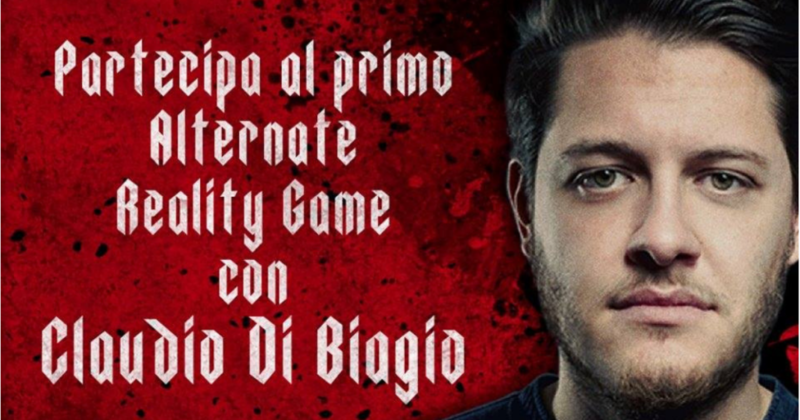 Together with Cristiano Bolla (Sicily Web Fest and “Hidden“) and Michele Pinto (“Project M”), we had also the possibility to speak about all this in a panel dedicated to the Italian web series scene. We explained what’s going on in our country and, well, we have the same problems everywhere: there’s no money, web series are often seen as something cheap and those ones who have huge success, are the already famous ones. But there’s also the same “Nike” spirit, everywhere: JUST DO IT. From Sicily to Milan, from Apulia to Hamburg, we all think that if you have an idea, you have to give it a chance. It can be scary, we know that, it’s very hard, it can be foolish and irresponsible, but if you never try, you won’t never know if it worth. So, please, just do it. There were some others really interesting panels, about the digital world wide distribution, the world of podcasts and about the TV stations online tryouts. We learn a lot of interesting things and the Wendie established itself as a multicultural stage where different indie professional figures from everywhere, could give their contribution to the community. So, as other web fests I attended, the Wendie Webfest 2017 created an international opportunity for discussing, learning and deepening what we are doing. But, let me say that it is different from other events, ’cause I think the organizers have their own idea of what a web festival is. And this is really cool. At the Wendie nothing seems to be taken from other festivals, nothing is like something you already experienced somewhere else. It’s a charming indie event, where everything is well organized, but no one is anxious or in a hurry and, if something goes wrong (like the “LaLaLand’s Oscars moment” we had on the stage) it’s not a big deal; a huge smile, a big applause and keep running like the wild horses the web fest has chosen as its mascot. That’s what the Wendie is: a free, wild horse, charming in its pureness and simplicity. It is always tough trying to explain correctly what I think in English, cause I’m always afraid to fall into a “bad English speaker mistake” and mistake candles for lanterns. So, to sum up my thoughts about the Wendie 2017: it is a wonderful portrayal of the independent spirit. And this is what I liked the most. At the Wendie they created an informal and cozy event, where the main aim was to focus on the web series community and try to find out how to improve it, preserving its distinctive freedom. Well done, guys. So, do you understand why I am glad that my first foreign web fest have been the Wendie? Because it gave me the proof that we are a really strong community and our strength lies in continuing to support each other, no matter where we are, remaining united and free. Just as Wendie’s horses run free so we must continue to burn our passion and fight in order to highlight the real nuances of the word “independent”, that means “strong” and “free”. 1st winner: MidnightMiracle (GB), “because on one hand it’s a funny, captivating story around an anti-hero female character and on the other hand, it’s a perfect example on how content can reflect aesthetically and metaphorically on its medium”. 2nd winner: Hidden (IT), “because it takes us back in time like reading an Agatha Christie novel. But it’s delivered with a modern touch and a high quality visual style. That, at the same time, is an homage and a progression for the genre”. 3rd winner: Le Myriapode (FR), “because it is a great situation comedy, with absurd stories, a raw visual concept, a raw and genius approach and a superbe acting”. Best understanding Web: MidnightMiracle, “because it fits perfectly on the Web, reflecting and mocking with a brilliant British humour the logic of its own medium“. Best Concept: Gott Kommt (DE), because it’s a minimalistic and unique storytelling combined with a yet unseen and unheard visual and auditive style, giving also an ironic experience of the stories from a gods point of view. Best Cliffhanger: Running With Violet (CA), “because it creates in every episode the right suspense, bringing the viewer to have a deep need of going from one episode to the next one ’till the end without stopping. Running with Violet is also an interesting change of course, because it turns a typical masculine plot into a really well written and edited women story”. Special mention to High Life (AUS), “because it is a new, sensitive and surreal perspective on the psychological and social difficulties that a teenager has to face when passing from adolescence to young adulthood”. Special mention to Tinder is the night (USA) “because it shows, with a realistic touch for everybody who is single right now, the abyss of meeting total strangers and failing to do so. Everything that can go wrong, goes wrong“. Congrats again to everyone! Please, don’t stop creating: just do it. And do it with the indie style. See you next year, Wendie!